Alban Life - What is EfM? 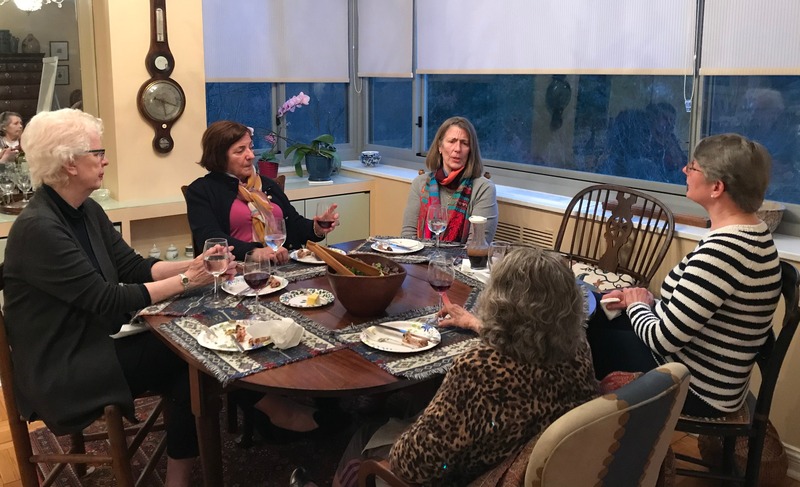 Every Wednesday evening during the fall and spring, a group from St. Alban’s shares dinner and talks theology. They’re involved in a program of study our church has offered for more than 20 years--Education for Ministry (EfM), developed for lay people by the Episcopal seminary at Sewanee. 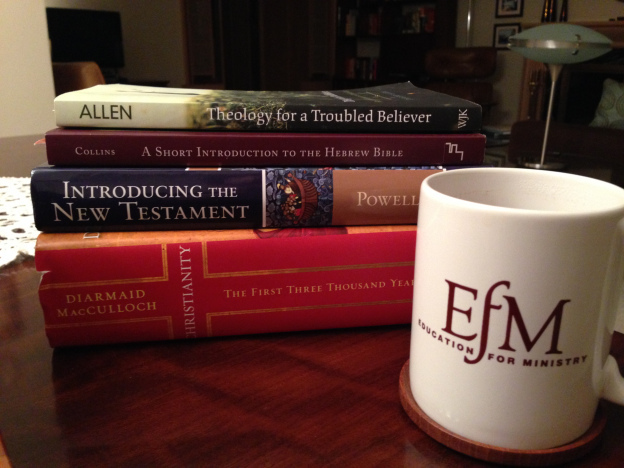 Rich Jensen signed up for EfM more than a decade ago, looking for an organized approach to reading and studying the Bible. He soon became a group mentor and has stayed on in that role. “I came to find that I was learning more and more important things from other members of the group than from the readings themselves,” he said. New members can join the St. Alban’s group each fall, starting with the first year curriculum focused on the Old Testament. Continuing members may be in year two (New Testament), three (church history) or four (theology). There are some common readings during the year, but for most sessions participants in each of the program years have readings that are not shared by the others. “We all learned from each other in our weekly discussions of the challenges of our lives and how the Bible and our traditions spoke to them,” said Maria Estefania. The seminar groups are small—no more than a dozen participants—meeting once a week for about three hours. Members take turns providing dinner, planning worship, and helping to lead discussions and theological reflections. There's a lot of reading, but Estefania said it was worth it. “In retrospect, EFM deepened my faith, helped me understand it on an adult level,” she said. If you’d like more information or to enroll, contact Rich Jensen.